Folly Mixtures: 10 Things That Keep A Burlesque Troupe Together. 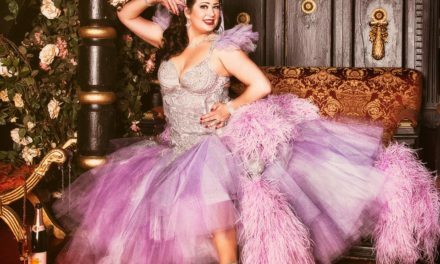 Liberty Sweet, a founding member of British burlesque troupe The Folly Mixtures, shares her tips for maintaining harmony on the road, in rehearsals, in business, and on stage. If you’re running the troupe equally, introducing a majority vote system will save you all a shedload of time and strife. Pre-voting, it had been known for us to spend up to fifty minutes discussing which type of red shoe to buy. You should also be aware that even with this system in place, everybody has different tastes. You won’t like every decision. Succumb gracefully. In the troupe, we receive on average fifty emails every day. (Tip 2a – make sure every performer has a Smartphone!) There is always a ‘To Do’ list (mine has categories). Admin is a huge, unpaid part of our job, which has become like a well-oiled machine, thanks to each Folly Mixture managing different areas of the company. Every task has somebody in charge, from liaising with potential bookers to sticking rhinestones on plastic milkshakes. With so many plates constantly up in the air, you have to consistently update each other on the progress of the tasks you are responsible for. It’s so easy for important things to slip under the radar. We once realised, on leaving home for a show, that we had forgotten to book a sound man. Not ideal! Protect yourselves. Use contracts for private bookings in relation to pay. Performer buddies have helped us in putting ours together and Equity have a wealth of experience in these matters, not to mention clout if you get into a situation of needing to chase payment. We also have a troupe contract that protects our costumes, choreography and work commitments should any member wish to leave. Being in a troupe requires a lot of hard work. You have to have strong passion for performance and a solid joint ambition to keep moving your troupe forwards. Even through the unglamorous moments, such as flyering in the rain (in hot pants!) or filling in your forty-two listings website with identical information. Like all healthy relationships, you will need time apart. After nearly eight years of working in each others’ pockets we have become like sisters. If you are lucky enough to have one of these, then you will know that along with love, support and a huge amount of fun also comes occasional bickering. Space. Saves. Lives. Holding The Folly Mixtures together. All of the above sounds like a hell of a lot of mountains to climb, doesn’t it? Luckily, if you have this point in abundance then all of the previous points won’t feel like work at all. Building something together from nothing, self-managed and with no financial help, is the biggest kick in the head. After all, performing on stages around the world and hanging out with your best friends for a living? It could be worse. And The Folly Failsafe when anything falls apart? Liberty Sweet is a co-founder and performer in UK burlesque troupe ‘The Folly Mixtures’, alongside Ooh La Lou, Felixy Splits, Angie Sylvia, Bettsie Bon Bon and Ella Boo. 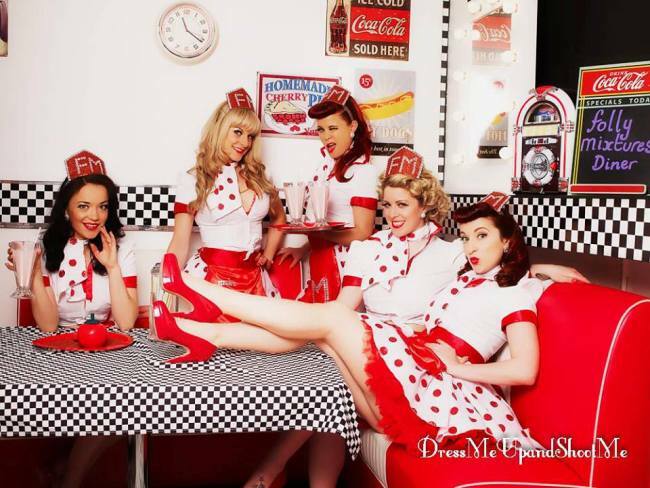 They have a monthly residency at Madame Jojo’s in London’s Soho and headline the international tour ‘An Evening of Burlesque’. Ivy Wilde: Facebook and Burlesque – Is It Bad for Business? NEW YEAR MESSAGE: “I know not of these limitations you speak of.” By Lola Frost.